Click the button below to add the MK Battery - MU-1 SLD G - Pair, MK Sealed Heavy Duty Gel Battery (MK Original) to your wish list. MK Batteries are the best choice when it comes to your Mobility equipment, Mobility Scooter or Power Wheelchair and because the MU-1 SLD G - Pair, MK Sealed Heavy Duty Gel Battery is for Sale at All-Terrain Medical, you win! Price Advantage if you buy the pair! Battery-powered mobility systems provide users with additional freedom and independence. None of these ingeniously designed vehicles, however, can perform to their full potential without a top-quality battery as the fuel source. In fact, choosing the right battery for your equipment can enhance performance and safety, simplify charging and maintenance. In the long-run, it will save you time, money and peace of mind. You'll Cover More Ground with an MK Battery. Like a good set of radial tires for your car, MK Sealed VRLA Gel and AGM batteries, designed to enhance performance and safety, last longer and provide more cost efficient reliability. MK Battery was founded by Mark Kettler and Mark Wels in the beginning of 1983 and incorporated in 1984, as a California "C"- type corporation. The company has over 100 employees including Mark Wels who continues to manage the company as President. In 1995, MK Battery was acquired by East Penn Mfg. Co. Inc. out of Lyon Station, PA and now operates as a wholly-owned subsidiary of East Penn. 2002 MK Battery opened its first direct sales and distribution branch in Europe, located in Kettering, Northamptonshire, England. 2005 MK opened a second European branch in Arnhem, Netherlands and later, in 2009, opened offices and distribution in Sydney, Australia. From there MK Battery services the Asia Pacific region. MK Battery is headquartered in Anaheim, CA, and now operates 20 distribution centers in the USA, six in Europe, and one in Australia. From there theses distribution centers, they operate fleets of route delivery trucks. All MK Battery distribution centers are run by MK Battery personnel. Also, East Penn Mfg. Co. (DEKA) provides warehouse services to MK Battery in numerous other USA locations. In Canada, East Penn ownes and markets MK Battery's brand names and supports MK Battery with inventory in multiple locations throughout Canada. With this synergetic merge, MK Battery has now one of the most extensive distribution systems for sealed batteries in all of North America and throughout much of the world. MK Battery brands are proudly sold and distributed on all seven continents! Why MK Gel? MK Battery is pleased to introduce a new promotional / informational video featuring MK Gel Batteries. This short presentation has been designed to illustrate the technical advantages that differentiate the high-quality engineering, construction and performance characteristics that make MK Gel batteries the longest lasting, most dependable batteries available today in the Mobility arena. The video can be utilized as a promotional tool at the consumer level, or for sales training purposes at the provider and manufacturer levels. It can also be used to demonstrate to insurers and other funding entities that value and savings can be attained by using high-quality MK Gel batteries. The MK Gel battery has become the global standard by which all other batteries are measured in the mobility industry and this video describes, in detail, how our design and manufacturing process translates to longer battery life and lower overall cost per cycle. -The product has to be be returned at the customer’s cost in it's original packaging. -The product has to be in new condition - No scratches, no cracks, no dirty marks. 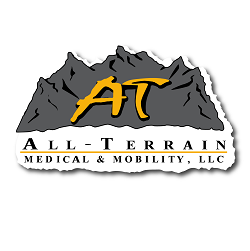 -The Return Authorization has to be be requested from All-Terrain Medical & Mobility within 30 days of receiving the product. -Once the Return Authorization has been received from All-Terrain Medical and Mobility, the product has to be be returned within fourteen (14) days to receive a refund.